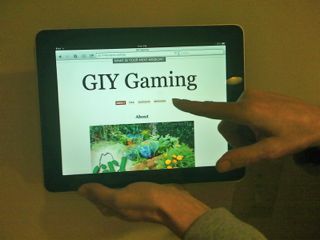 Blais cited mobile games like Grow It Yourself (GIY), developed by her student Anna Werner, suggesting that we should forget Eat-Pray-Love in favor of Eat-Play-Learn. Birds don’t sing when you turn on the sprinkler, but they do when it rains. Cow horns are dowsing wands. Cows carry 25 pounds of bacilli in their gut. Chi is also based in the gut, where communal gatherings start. People have deeper conversations in farmer’s markets than in malls. There are no security guards watching your radishes. The conference was held at the Hutchinson Center in Belfast on Friday, December 9, 2011, and co-sponsored by the University of Maine Peace and Reconciliation Studies, the Hutchinson Center, and Newforest Institute.